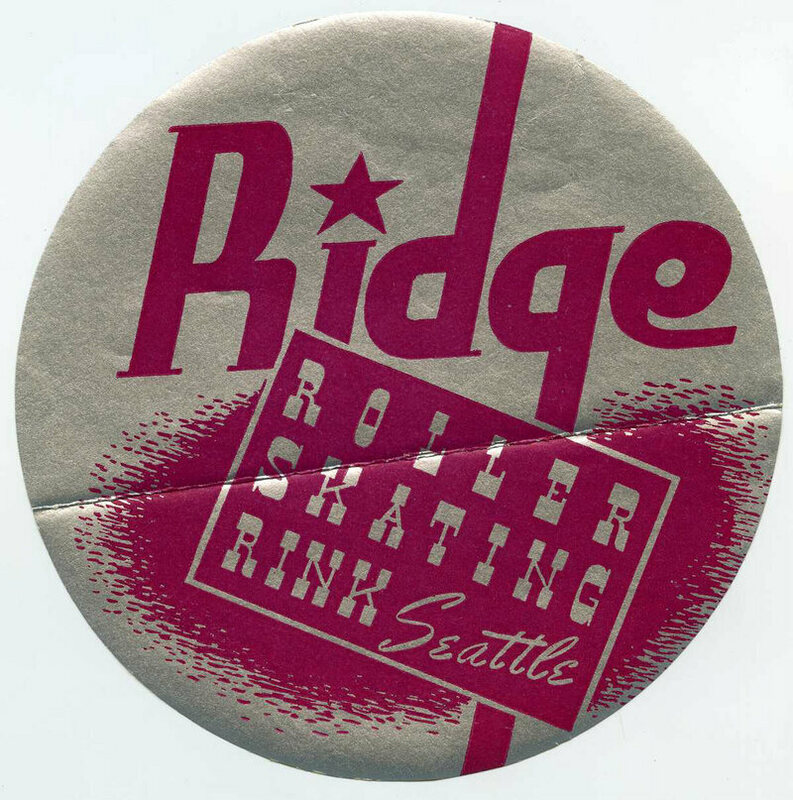 In the early 1940s, at the dawn of what's sometimes referred to as the “Golden Age” of roller-skating, rink operators struck upon a simple means of promotion: stickers. 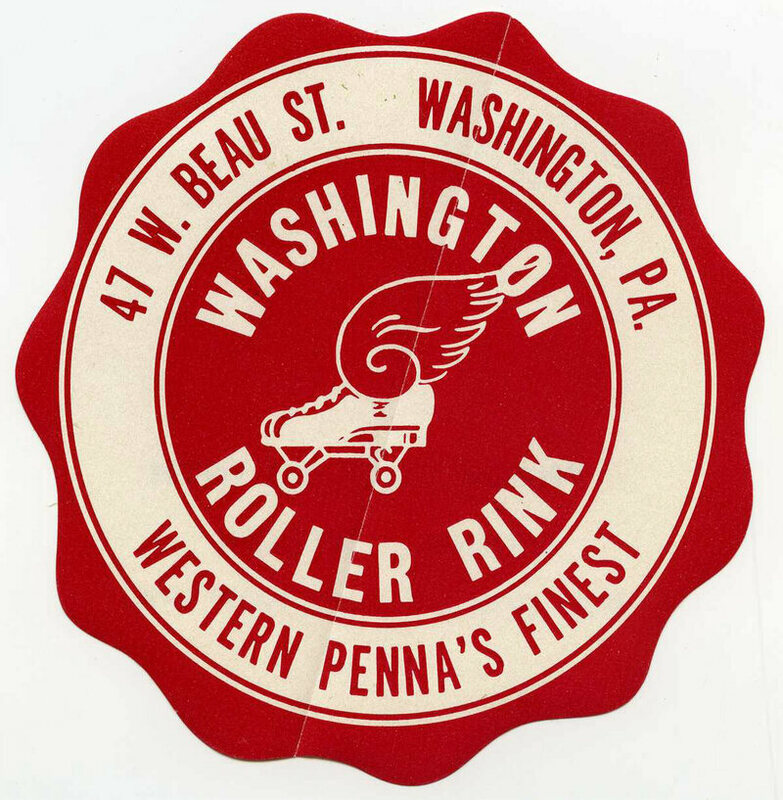 Designed in a range of shapes and colors, each sticker acted as a kind of calling card for a particular rink. Skaters would plaster them on their roller skate cases, collect them when they traveled, and even swap them with fellow enthusiasts. One such collector was Genevieve Pittner, a young homemaker living in Monroe, Michigan. Between 1941 and 1942, Pittner pasted over 500 stickers in a red album, along with 46 loose stickers, some photographs, and some of her correspondence with fellow collectors. (Evidently an avid skater, the album also included 112 issues of various skate magazines). 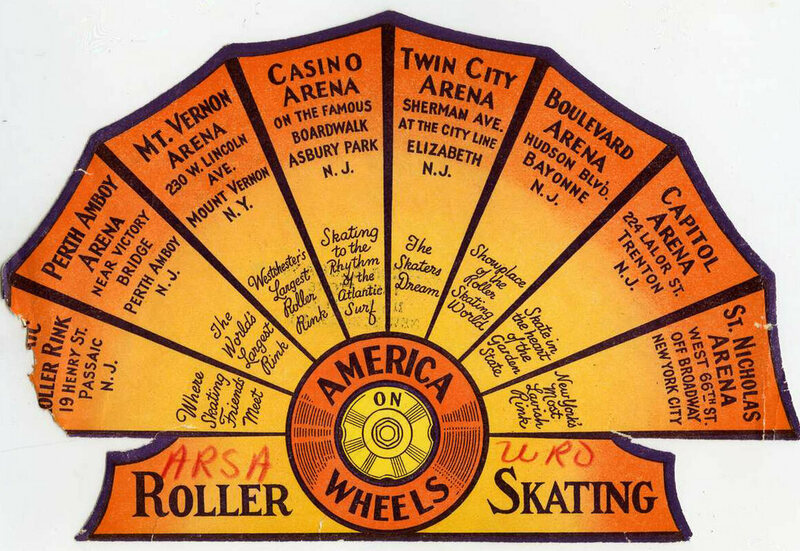 Pittner’s collection is now part of the Hagley Museum and Library in Wilmington, Delaware, and her stickers show off the variety of graphics and motifs employed by rink operators of the era. 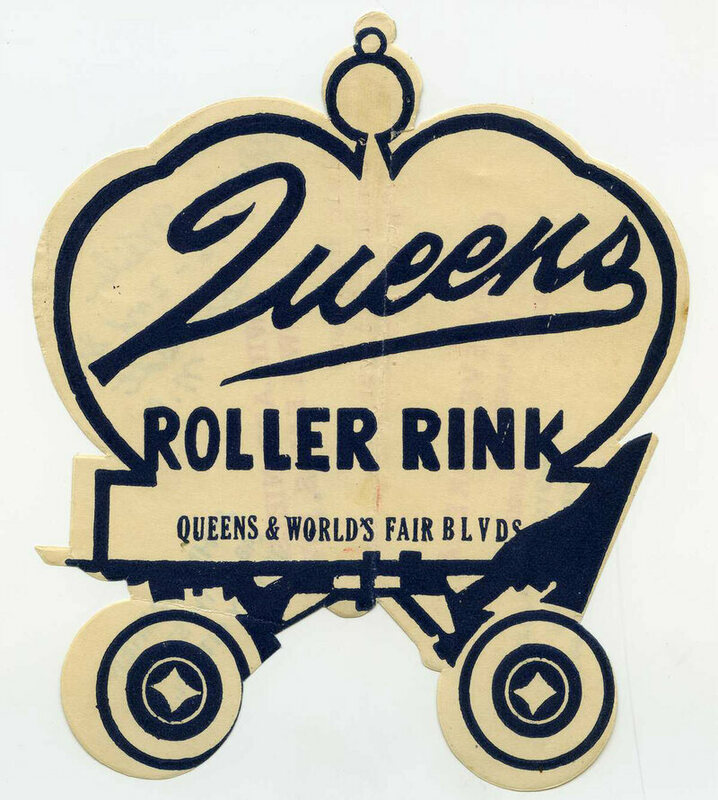 From America on Wheels, a chain of rinks across New York and New Jersey, Pittner collected an orange fan-shaped sticker, with segments touting the appeal of each rink: “New York’s Most Lavish Rink,” or “The Skater’s Dream.” For the Bay Ridge Roller Rink—“Brooklyn’s Largest Roller Skating Rink!”—a skater glides on one leg, framed by red ribbon. 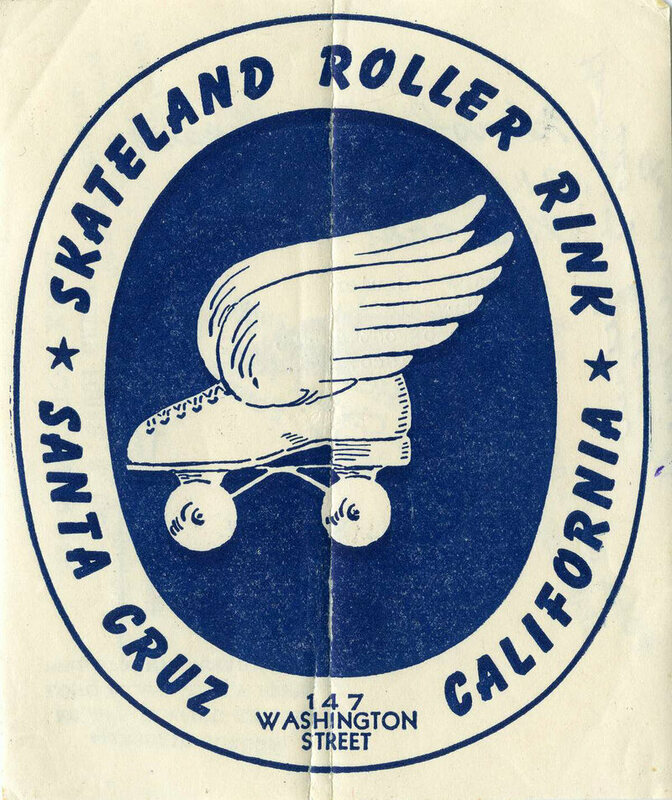 The sticker for the Strathcona Palace Pier rink in Toronto was shaped like a winged roller skate; underneath the name, in pencil, someone had scribbled “CANADA.” (Pittner's collection includes stickers from across North America; stickers from international rinks were highly desirable). Pittner may have been an early adopter. 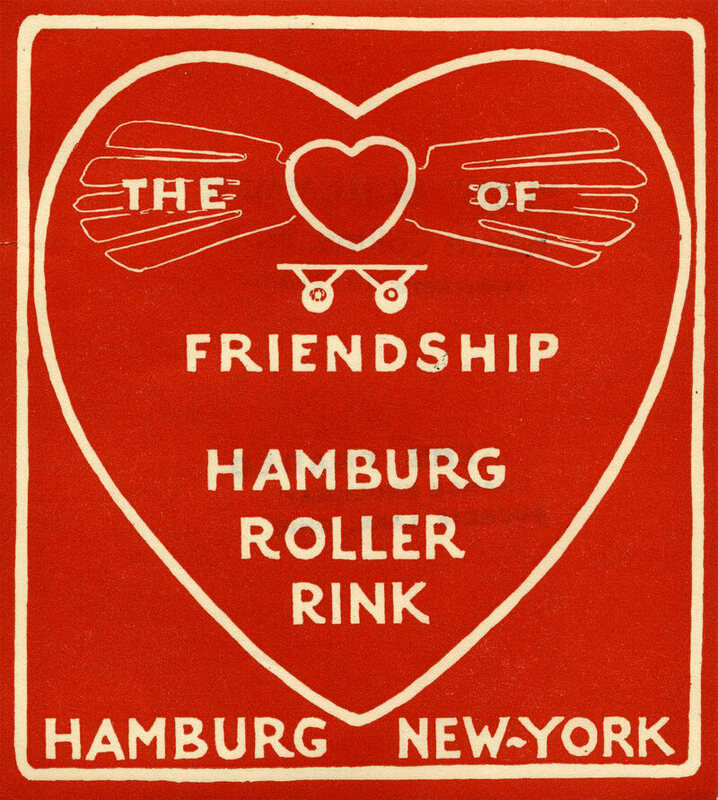 In 1948, a group of skating enthusiasts met in New York to form the Universal Roller Skating Sticker Exchange, according to one of the co-founders in a later interview. Five years later, a newspaper article profiled URSSE members Sam and Barbara Zerbe, who had amassed 3,400 roller rink stickers for their collection. (The couple had met, of course, at a roller rink). And in 1964, a newspaper reported that the URSSE convention took place over three days, citing the availability of approximately 8,000 different stickers available to collectors from around the world. Yet in the same article, a URSSE co-founder lamented the decline of roller skating, blaming the popularity of drive-in movies and bowling. 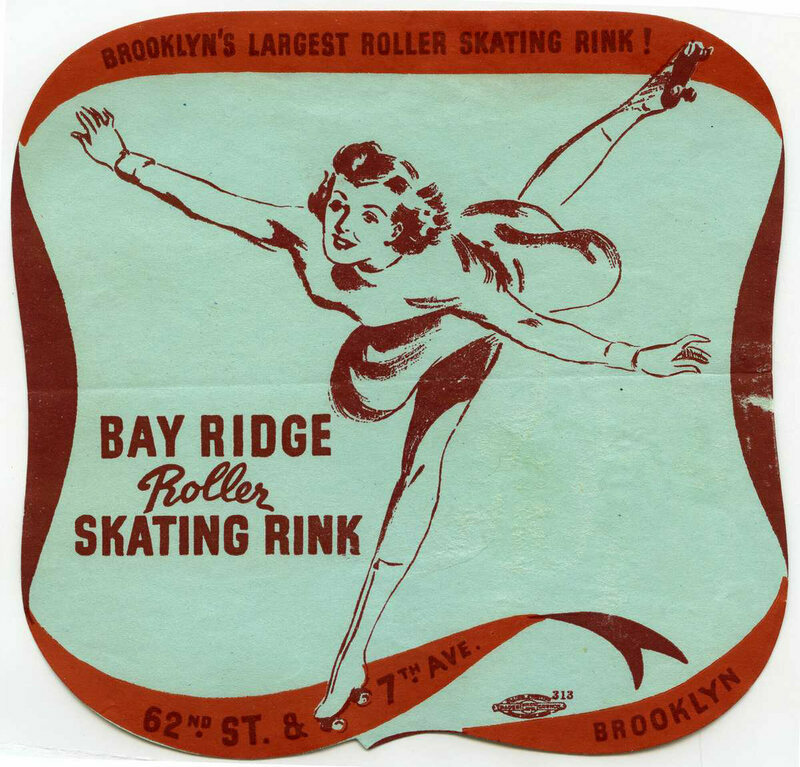 By this time, the "Golden Age"—which was between 1937 and 1959, according to Lou Brooks, the author of Skate Crazy: Amazing Graphics From the Golden Age of Roller Skating—was over. The URSSE held its last convention in 1989. Today, of course, many if not most of the rinks featured in Pittner's collection are gone. 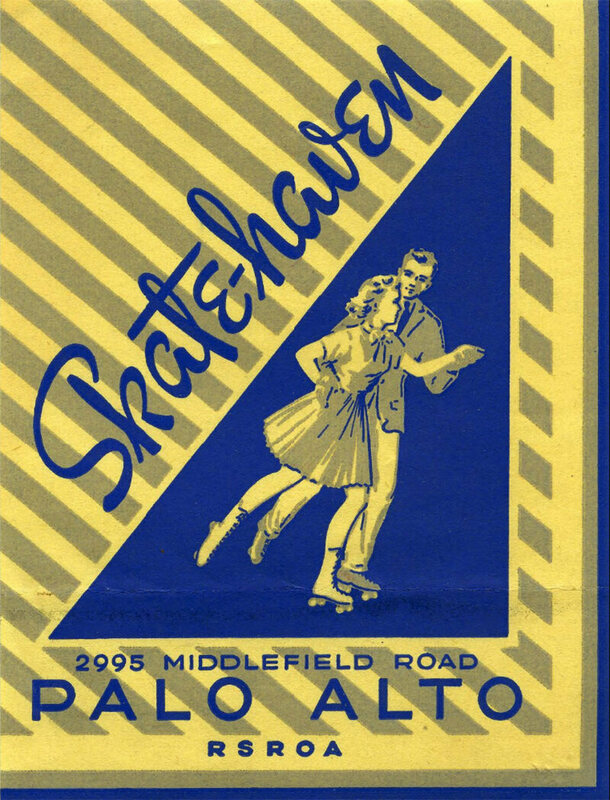 Skate-Haven in Palo Alto is now the site of a yoga center. 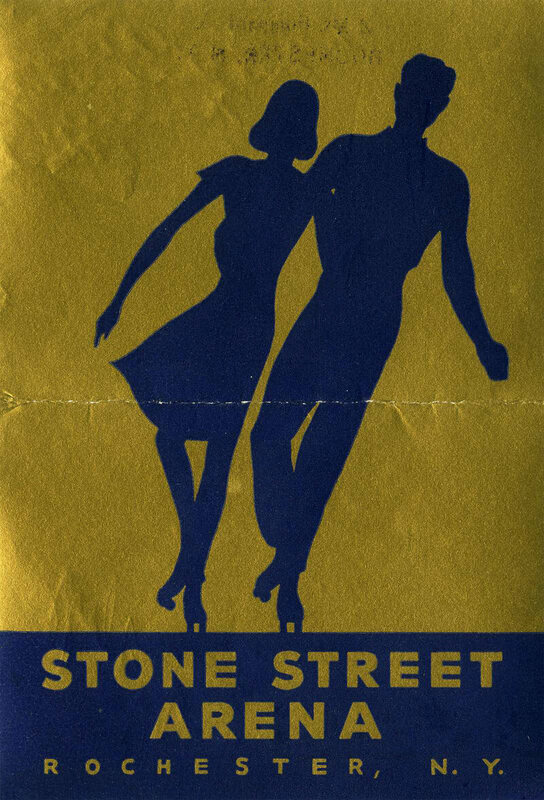 The operators of Strathcona Palace Pier at one point converted the rink into a dance hall, which has long since burned down (the site is now home to condos). 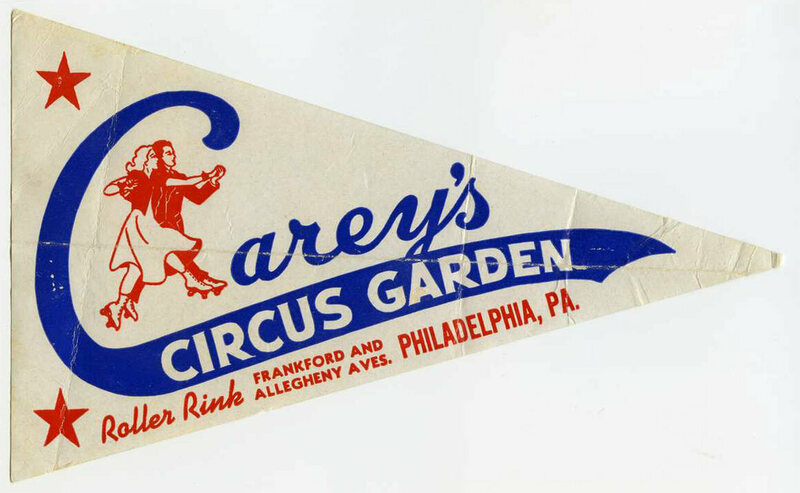 Circus Gardens rink in Philadelphia was, in 2017, a shuttered Family Dollar store. 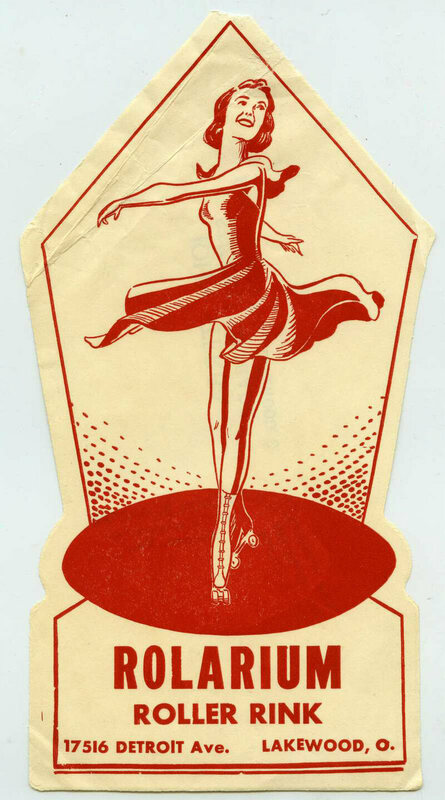 But the roller rink world of the 1940s lives on in this selection of stickers from the Hagley archive.